Human Resource help is at your fingertips with Quartermaster Payroll. 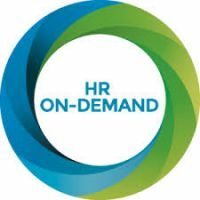 We have two options for your Human Resource needs, both designed to be your one-stop resource for Human Resources related workplace information. Please click on the buttons below to find the answers, tools and resources to address your Human Resources needs. Your Online HR library with state by state rules and laws to help you manage your business. You can access dozens of letters, templates, and documents. “How to” self-help video’s. Salary Research, and much more. On-line Library with state by state Rules and laws covering a wide array of topics. More letters, documents and templates. Access to a certified HR Professional, handbooks, Live Chat and training. Contact your Payroll Specialist if you would like to upgrade!